You'll have to come and visit with our Motorhome Team in Pensacola to have a closer look at this NEW 2018 Tiffin Wayfarer 24FW Class C model. Sleek Obsidian Exterior graphics with 1 slide. 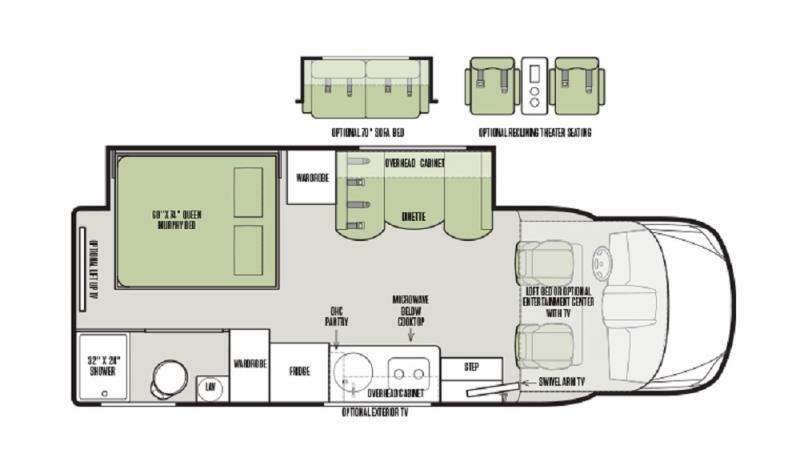 Sleep up to 6 guests inside this spacious motorhome. Creamy furnishings including comfortable theater style seating. Gorgeous flooring and Stylish Sandstone décor. Mercedes engine/chassis and so much more to fall in love with!